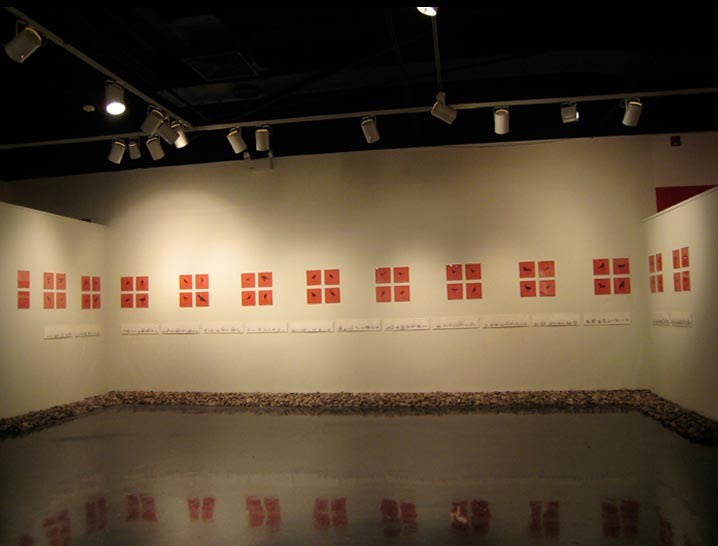 Of Water and the River: Meditations on the Rio Grande, installation view, NMSU, University Art Gallery, Las Cruces, NM, 2009. 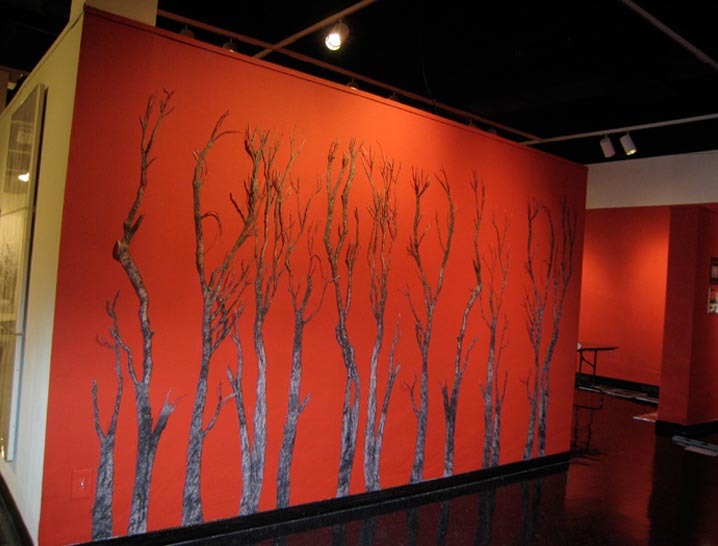 Of Water and the River: Meditations on the Rio Grande, installation view, Scorched Trees, New Mexico State University, University Art Gallery, Las Cruces, NM, 2009. 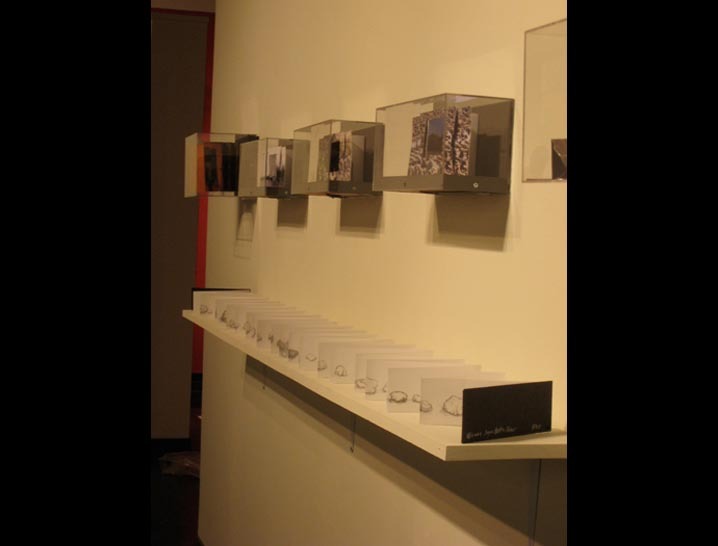 Of Water and the River: Meditations on the Rio Grande, installation view, artist books, NMSU, University Art Gallery, Las Cruces, NM, 2009. 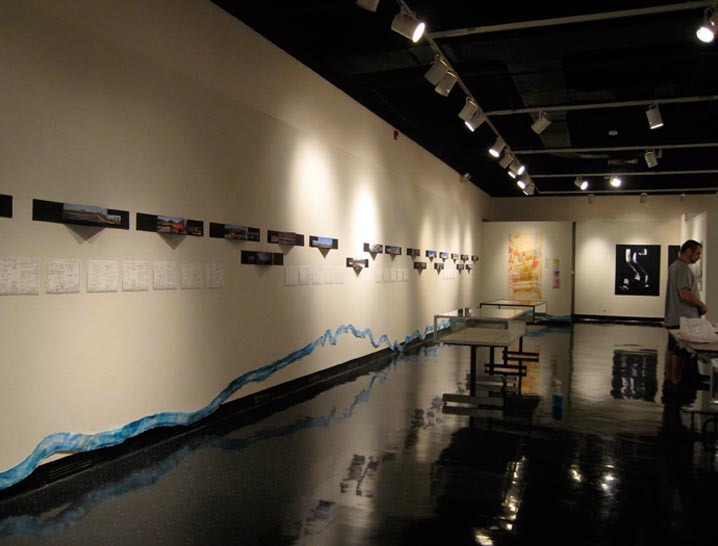 Of Water and the River: Meditations on the Rio Grande, detail, artist books, Rio Grande Journey, NMSU, University Art Gallery, Las Cruces, NM, 2009. 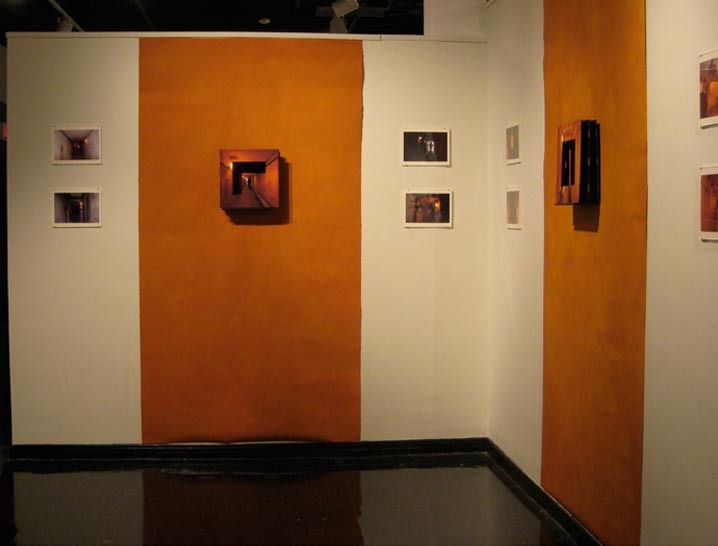 Of Water and the River: Meditations on the Rio Grande, Survival, NMSU, University Art Gallery, Las Cruces, NM, 2009. 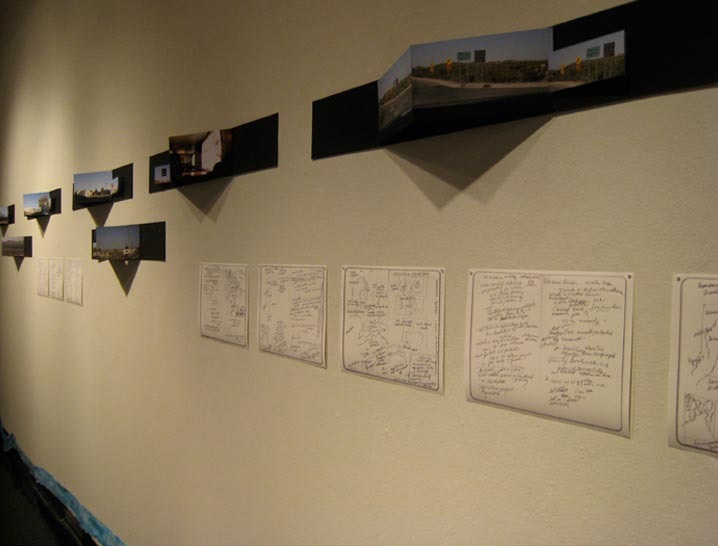 Of Water and the River: Meditations on the Rio Grande, Into the Labyrinth (artist book), Elephant Butte Dam, NMSU, University Art Gallery, Las Cruces, NM, 2009. Of Water and the River: Meditations on the Rio Grande, detail, Into the Labyrinth, NMSU, University Art Gallery, Las Cruces, NM, 2009. 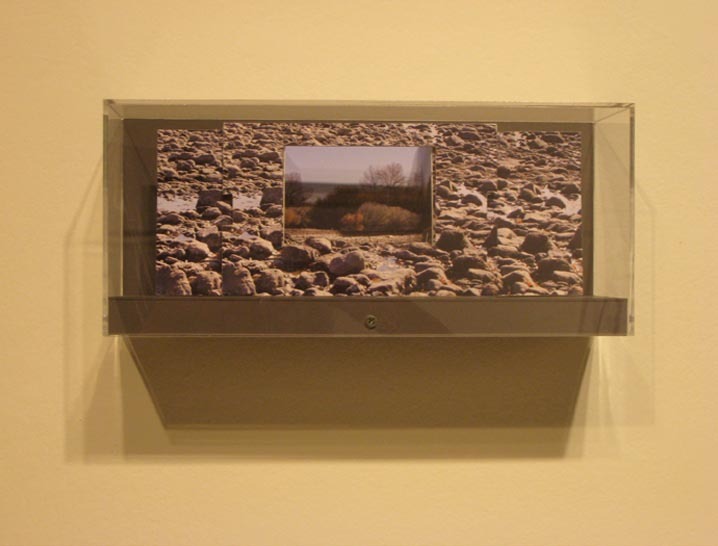 Of Water and the River: Meditations on the Rio Grande, detail, artist book, Near Elephant Butte: When the River Runs Dry, NMSU, University Art Gallery, Las Cruces, NM, 2009. 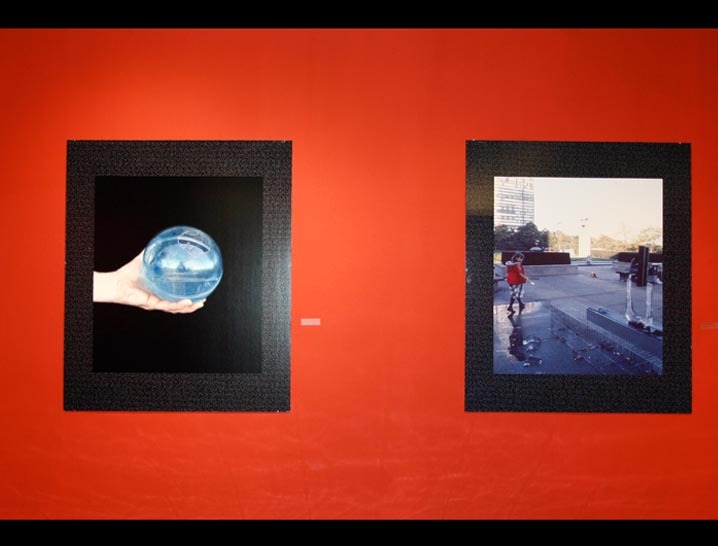 Of Water and the River: Meditations on the Rio Grande, images from Messages from the World/Waters of the Nations, NMSU, University Art Gallery, Las Cruces, NM, 2009. 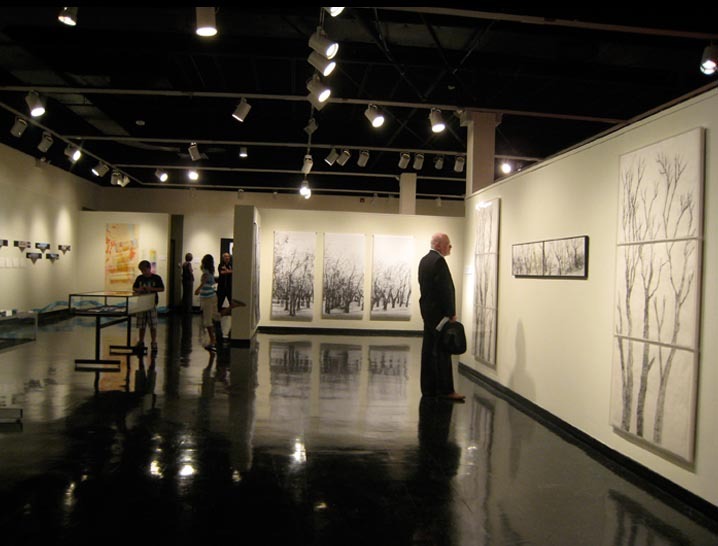 This exhibition at the Las Cruces Art Gallery, at New Mexico State University at Las Cruces, represents the beginning of a meditative journey, a process of discovery of the complex history and current significance of the Rio Grande and its territory. 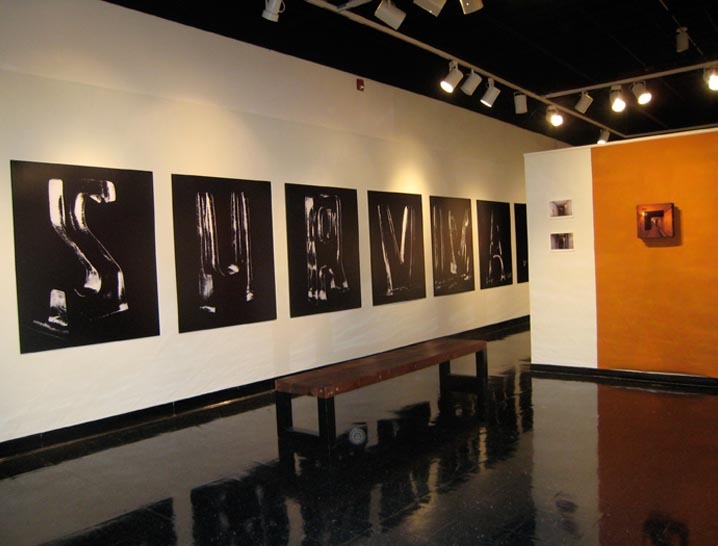 For so comprehensive a subject, the exhibit is conceived as an introductory visual essay through drawings, writings, artists books and digital imagery. The river and its region encapsulate the ecological challenges of our time. 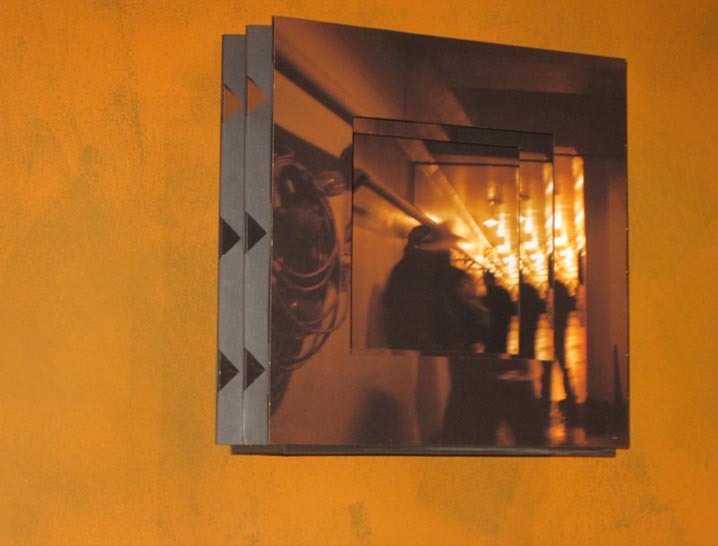 My projects emerge at points where fact and metaphor intersect. This project was initiated with the wonderful Phil King of the Engineering Department at NMSU who was invaluable in compiling facts about the Rio Grande of which he is an expert as well as those in the special collections library who helped with research. Read the Lucy Lippard catalog essay.